Too many children in Denmark are alone with their problems. Children’s Terms fight for the absence of any child in Denmark, neither of the child is nearest or of society. On the Children’s Phone, they have thousands of conversations with children who tell them, they cannot talk to others – they are exposed to things, as they hardly dare whisper to an adult on the Children’s Phone, so they need support. 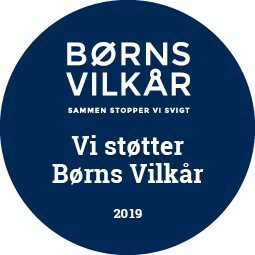 Since 1977, Børns Vilkår, together with support and collaborators, has worked to stop failure and for children’s right to a safe childhood. We believe in children. They are the most important we have and they are our shared responsibility.